Very often, game developers release games that are meant to run only on a specific chipset. One prime example is the Tegra platform, which has found the fancy of quite a few developer groups when it comes to gaming. The Tegra 3, for example, was one chipset which was favoured by quite a few groups, Vector Unit is just an example. 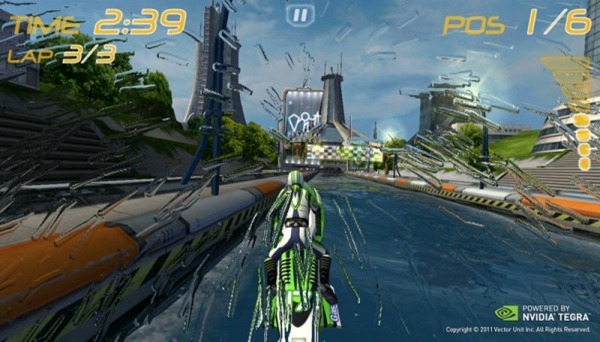 Lets talk about an example in the form of a popular game called ‘Riptide GP’ (Available on the Play Store for 99 INR). The game can be enjoyed on any Android device running v2.3 Gingerbread and up. However, the game does a few extra tricks when running on a Tegra 3 device, the HTC One X for example. The game has decent visual effects, which seem very close to the real thing. However, when you have the game running on a Tegra 3 device, the visuals are improved to a great extent, which take your experience up by a level. Agreed, that the Tegra 3 had a very powerful GPU (at the time of it’s launch, it was arguably the best in the market). However, this left users who had other GPU’s dejected, and wanting for more. GPUs like the Mali 400 (seen in most Exynos devices of 2012) was definitely powerful enough to handle the extra graphics, but the app was coded to offer the extra visuals only on Tegra 3 devices. This is where a tinkerer names Chainfire stepped in and took it upon him to bring these extra visuals for all. He developed an app known as Chainfire3D which allowed most users to enjoy Tegra 3 visuals despite not having a Tegra 3 chipset on their device. In layman terms, the app sits in between your app (Riptide GP, for example) and your graphics driver (the part of the OS which handles all graphics related requests). What this does in turn is that it makes the app (game) believe that your phone has a Tegra 3 chipset installed, which prompts the app to display the content made for Tegra 3 devices! Although the app is stable for Android versions up to v2.3, many users have tried it on 4.0+ versions with good results. 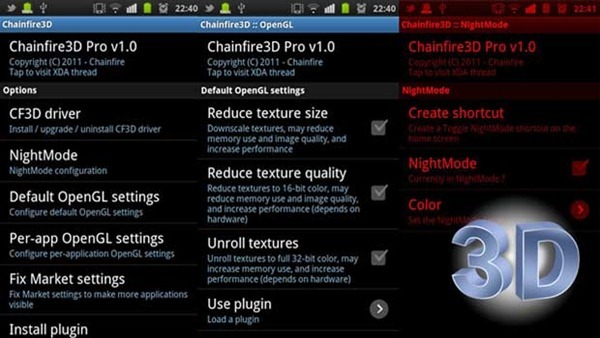 Once you’re sure you have a rooted device, download Chainfire3D from the Play Store. Open this (or any other source you prefer, we basically need .zip plugins) link, download the plugins. Next, you need to unrar the file and save the extracted .zip files on your SD card. Open Chainfire3D. Click on the ‘CF3D’ driver tab. This should bring a popup on your screen, where you need to click on ‘Install’. If you did everything correctly, your phone will restart. Next, you need to open up Chainfire 3D again, and install the plugin by clicking on ‘Install OpenGL Plugins’. This will scan your SD card and the plugins we downloaded earlier will show up. Select libGLEMU_NVIDIA.zip, and you’re done! Just to be safe, give your phone another reboot and you’re good to go! Let us know if you like the post, and if you need help by commenting below.